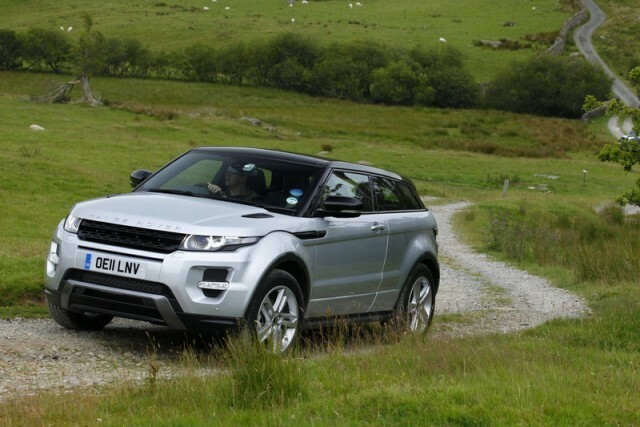 Here's the Carzone.ie used guide to the Range Rover Evoque. When Range Rover decided to shrink its most iconic model and create a smaller version called the Evoque in 2011, no one could have predicted quite how much of a success it would be. Within a year, 100,000 Evoques had left the production line and build numbers went past half a million units back in 2016. It’s therefore the fastest-selling vehicle the 4x4 company has ever come up with and so it’s a highly desirable machine, whether it be new or used. Second-hand values remain strong and the Evoque’s intoxicating blend of show-car styling, high-quality interior finishing and Range Rover badge cred make it one of the strongest machines in its segment. Range Rover sells the Evoque in three body styles, two with fixed roofs and then the extravagant Convertible model. For the former, it comes in three- or five-door guises and there’s very little visual difference between them, but Land Rover refers to the three-door as the Evoque Coupe. The Evoque is powered exclusively by four-cylinder turbocharged petrol and diesel engines, with a choice of front- or four-wheel drive on selected models. A six-speed manual gearbox is available on some versions, while a six-speed automatic was an option – superseded by a nine-speed automatic in 2014, with a newer ‘Ingenium’ 2.0-litre diesel to replace the older 2.2 unit following soon after. Trim grades run from Pure through SE, SE Dynamic, HSE, HSE Dynamic, Autobiography and the Landmark Edition, with more and more lavish equipment on models as you climb further up the rather expensive range. The sweet spot of Range Rover Evoque ownership will be the eD4 or TD4 models with the 2.0-litre, 150hp turbodiesel engine – the difference between the two being that the eD4 focuses on fuel efficiency, only coming with front-wheel drive and a six-speed manual gearbox, plus other fuel-saving technologies. Thus, it’s worth seeking out the eD4 with some choice options on it, as it will offer the full Evoque on-road experience without breaking the bank in terms of running costs. The Range Rover Evoque isn’t the most practical vehicle in its compact crossover/SUV class, nor is it cheap to buy, even on the used market – high demand keeps residual values high. But there is nothing else in this class that has the lustrous image of the Evoque, which provides a thoroughly enjoyable Range Rover experience for a fraction of the full-sized SUV’s price. Just beware thirsty 240hp petrol models and also the largest alloy wheels, which can upset the Evoque’s ride quality.